Razor blades are a classy vanity item for men that are not just collectible, but are still quite usable! Some men just don’t want to give up the feel that shaving with a straight blade gives them. 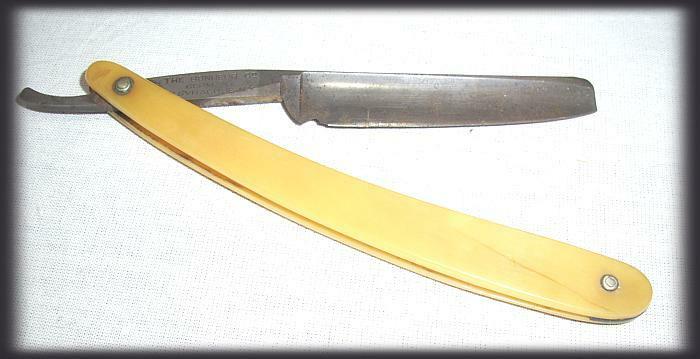 In other cases, some just like collecting this vintage item – maybe their father worked for the company or maybe they just like that 1930’s vibe that they get from the blade. This all stacks up to one thing: straight razors sell. There are some things you need to learn before you venture into this niche category. The anatomy of a razor blade is fairly straight forward (haha, see what I did there? ), but you’ll need to know the terms in order to make your listing sound the best that it can. This entry was posted on April 30, 2012 by GEREAN. It was filed under OF GENERAL INTEREST and was tagged with antique, how to, its all our vault, merchandise, razor, razors, resale, sell, vintage.